One of their clients said: "He is truely the best, kindest and very much loved in the SA Yorke Penninsular." 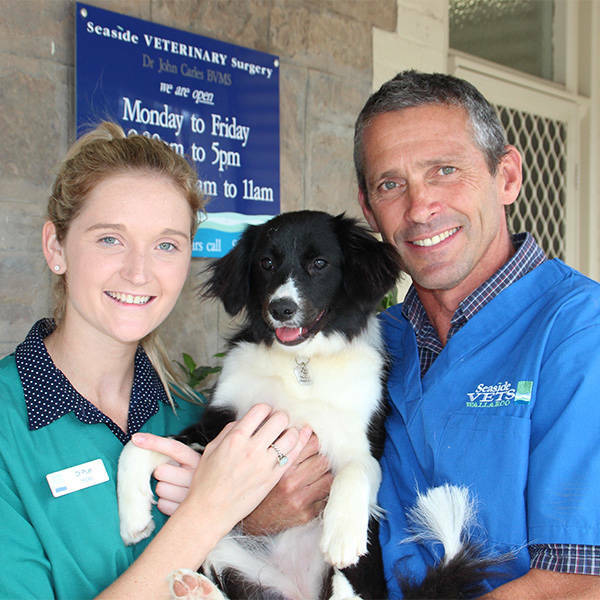 Prue and John go above and beyond for all the pets in our community. Friendly and give great advice and understanding of pets and their owners needs. What is the most unusual pet or animal that you have ever had in your clinic? Also if you could have any animal as a pet what would it be? John & Prue are marvelous vets & so are their nurses & office girls. Always stop for a Hello & smiles no matter how busy they are. Compassionate about all the animals & supportive & caring. I always love the atmosphere when i walk in the door. Caring, experienced vets with great knowledge, ready to take on any challenge presented to them. Previously saved my cats life when hit by car and pinned a barn owls wing I found laying on the road injured, then sent it for rehab to hopefully be realised back into the wild. She is an amazingly compassionate person with a heart of gold. Seaside Vets are an informative and supportive veterinary clinic. They don't just treat their patients, they inform pet owners and make it all such a positive experience. Bella loves playing with their clinic dog Zoe!